A strong, supportive, and satisfying workplace culture is not made. It is earned. It requires persistent leadership that puts the good of the team ahead of any individual. But screen printing and custom merchandise printing are hard. You're tasking your team with a job thats physically demanding, mentally challenging, and repetitive – often at wages that are comparable to much easier jobs. That's why keeping a great workplace culture in your business is a fundamental building block for long-term success. So what should you look for? How do you start building a great culture? Openness and mutual support lay the groundwork for a satisfying work culture. Your team backs each other up, and knows when and how to get help. Your team is comfortable asking each other for help. There are no "off-limits" topics and no "stupid questions." Your team collaborates to solve challenges. When there's a big challenge, the team all pitches in their knowledge and efforts to get things accomplished. Your team is open about problems they're having. No one hides errors or is terrified of doing something wrong. Your team has systems in place to get help. There's some formal way for anyone to ask for and get help. When a team naturally collaborates, they're invested in each others' success. They prefer a positive outcome for the entire team. They are willing to stop what they're doing and help others – and in return, they know that they can count on the rest of the team to help them when the time comes. This creates a powerful bond and sense of assurance that enables your team to tackle bigger challenges than any individual alone could. Anthony and Laura from Customer Care pushing hard at Printavo HQ. One of the most satisfying things about running your own shop is discovering that people are hungry to work for you. This takes time, but eventually a great workplace culture translates into everything you do. The word gets out that your shop is awesome to work for. You don't have to scramble to hire and re-hire people for the same positions. Imagine simply posting on social media and receiving eager, high-quality candidates – it can and does happen at print shops with great leadership and strong workplace cultures. Have a brand that your community relates to and respects. Create a culture where workers feel pride and ownership over their work. When you notice that people are interested in working for you because of the perception of your shop's brand, it's a sign that you've developed a workplace culture that's welcoming and appealing. Some of Printavo's team in their holiday sweaters. The new conventional wisdom seems to be that job hopping is the only way to get ahead. As an employer, it's difficult to fight this. But when you notice that you have multiple employees who have stuck around through thick and thin, it's a sign that your culture is fulfilling. So how do you build a culture that creates long-term employees? Clear communication about raises, benefits, and the health of the business. When your employees feel that you're transparent, honest, and investing in them, they will become mutually responsible and feel a sense of ownership. Consistent communication about the workplace. Open discussion and a forward-oriented system of improvement that takes employee concerns into account significantly boosts the longevity of a typical employee's career with your shop. In a great workplace culture, most of your employees aren't looking for other jobs or planning their next career move. They're fulfilled but not overworked, challenged but not troubled, and invested in the long term success of your shop. Piotr Biegaj, Printavo's head engineer, during a foggy morning in our Chicago office. It's not always easy to develop a way for a screen print shop employee to feel that growth and learning are part of their job. But there are ways to do it that don't involve having everyone switch responsibilities or attend educational conferences (though those are also great options). The first way is to hold weekly or bi-weekly 1-on-1 sessions. These 15 minute conversations can reveal a lot of problems before they grow into disasters. Ask whether they're still challenged and learning. Find out if they're happy. Give them the time and space to vent and bring up conflict. The other way is to model good growth and learning behaviors in your own leadership. When you don't understand something, how do you learn more? When you can't immediately resolve a problem or don't know how to proceed with a challenge, how do you develop a way to deal with adversity? It's vital that you don't pretend to know more than you really do – and show what you expect of people when they face knowledge gaps or challenging issues. Growth and learning. Your employees can utilize the shop to learn, grow, and develop their skills. Improvement. Your shop is never resting on its laurels and is always trying to improve its systems – whether that's utilization, print quality, or reducing waste actions. Process over outcome. Your culture is focused on developing the best possible process instead of focusing solely on the outcome. This means employees are invested in developing repeatable processes that build value – instead of "just printing shirts." The entire Printavo team traveled to ISS Long Beach to learn and connect. At the end of the day, we are deeply social and tribal creatures that need to feel a connection to the people we work with. This means you should leverage the power of team outings to create a connection with your team outside of the workplace. You'll learn more about each others' personalities, create a deeper connection, and simply have some fun together. You can be as creative as you'd like with your events. We know that Real Thread from Florida is fond of taking their entire team on a yearly cruise. We're fond of visiting screen printing shops as a team. You could visit an escape room or do any other number of great team-building exercises – or keep it simple with a team dinner. The point is to create a pattern interaction so your team can build camaraderie outside of the confines of your shop. 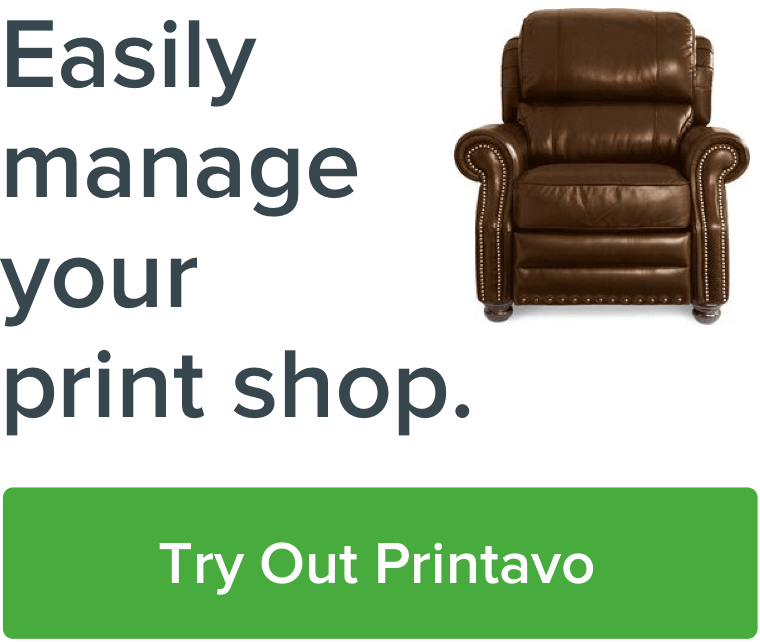 Why did you start your print shop? It's rare that people start in this business because they want to be burdened by bummer employees and headaches about staffing. Once you have employees, the purpose of your business shifts. Yes, you're still there to provide your customers with the best possible custom shirts, merchandise, and garments. But at the end of the day, your deepest responsibility is to the people you employ. Their families, homes, livelihoods, and well-being all center around your leadership and the culture you build. Instead of letting this be a daunting challenge, take it as another opportunity to learn the skill of continuous improvement. If you focus on the people that you're lucky enough to work with, you'll find that the right culture will soon follow.